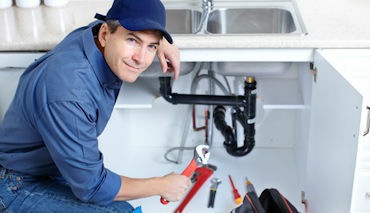 Center for Occupational Development and Education (CODE) is a private not-for-profit school approved by the Department of Consumer Protection to offer continuing education to plumbing license holders. Mission Statement for CODE, Inc. The mission of CODE Inc. is to serve as the premier school of choice for the occupational trades in the state of Connecticut for quality training and education focused on improving the performance and professionalism of contractors, journeymen and apprentices. NOTE: On-line registration for the Foxwoods class is closed, but we will accept walk-in's. You must arrive at the Foxwoods Grand Pequot ballroom by 6:30 am. Please bring payment and identification. 30% discount for CT PHCC members and their employees! Refunds subject to 10% surcharge. Note: We reserve the right to cancel class due to low enrollment or inclement weather. Please note that during the registration payment process you may sign into your PayPal account or use any major credit card by using the supplied link during check out. The Internal Revenue Service (IRS) has granted CODE Inc. official status as a not-for profit 501 ( c ) (3) educational institution. By abiding by the IRS's strict not-for profit rules, CODE enjoys virtually tax free status, contributing to the school's ability to deliver training and education as the lowest possible cost.